Obviously, The Hunger Games is a hugely successful series. Why has it taken me this long to read it? Well, part of me wanted to rebel against another trend, and part of me was afraid that I'd become as addicted to it as I did Twilight. Why the latter was a bad thing exactly, I don't know. But the trilogy is impossible to ignore – it's everywhere. Even one of my very good friends, who usually dislikes reading and says she hasn't read a book in years, bought the complete trilogy and absolutely loves it. She's about to finish the third book less than two months after she got the box set, which is pretty amazing for her (she knows that's true)! So that gave me enough reason to stop avoiding The Hunger Games and read the copy I'd purchased for my Kindle. My expectations were high. Was I impressed? Yes. Was I blown away? No. Don't get me wrong: the plot is extremely unique, well-written, and the characters are completely original. But I felt Part One dragged on slightly and, also, I don't think dystopian fiction is for me. It's just too disheartening. 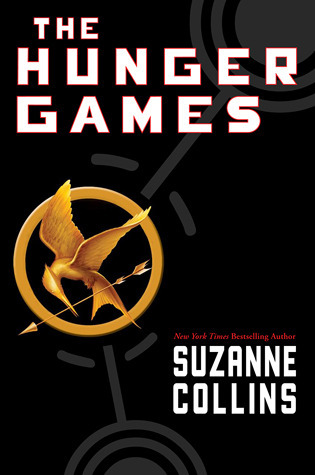 While there were light moments in The Hunger Games, a lot of them were overshadowed by the many dark moments. This is no doubt the intention, but it didn't sit well with me. I like a fair dose of happiness in my books. In spite of this, I read the book fairly quickly so I must have enjoyed it somewhat. I found myself caring for many of the characters, and this drove me to read on. It's impossible not to feel for them when they've been forced into this grotesque situation.